Flexco recently announced its plans to exhibit at MODEX 2018. At the show, Flexco will offer splicing and transfer point solutions to material handlers in various industries who are looking to maximise the efficiencies of their supply chains. Attendees can visit Booth B4769 at MODEX to learn how Flexco can help operations optimise belt conveyor performance, utilising various splicing and transfer point solutions to keep belt conveyor systems running at peak performance. While at the show, the Flexco team invites attendees with transfer point challenges to stop by the booth to view its segmented transfer plates. 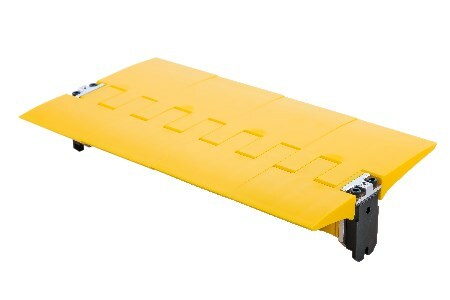 Designed to accommodate both large and small gaps between transfers, the plates prevent product and foreign object debris from jamming in the transfer, minimising product and belt damage, increasing efficiency and eliminating downtime. Flexco will also have a variety of splicing solutions on hand for those looking to optimise the performance of their conveyor belts. The air-cooled Novitool® Aero® Splice Press, which now features state-of-the-art technology and the exclusive Aero Recipe Management Tool, is easier than ever to operate, producing endless splices in a fraction of the time of water cooled presses. Flexco, the leader in belt splicing solutions, will be displaying their various mechanical belt fastening systems, including the Clipper® Wire Hook System – the most common splicing solutions for the package handling systems due to the abrasion resistant high tensile hooks and the quick installation methods – as well as the Alligator® Ready Set™ Staple System for more demanding applications. Experienced Flexco team members will be available at the booth help attendees identify challenges and ways to increase the efficiency and productivity of their operations. Attendees can also take in one of two educational sessions presented by Flexco’s Industry Manager Todd Stewart. Stewart will be presenting ‘Addressing Transfer Point Challenges’ on Tuesday 10 April at 12:45 p.m. in Theater F and on Thursday 12 April at 11:15 a.m. in Theater B. In the session, Stewart will discuss the issues found at most transfer points in conveyor systems. With foreign object debris being a major concern, he will dive into the pros and cons of current industry solutions, utilising his extensive knowledge and experience with these systems. Stewart will also provide case study examples outlining challenges that operations have faced and how they have been overcome.